“Calling All College Students and Graduates” P/T Virtual Health Coaches Needed (No Experience Necessary), $18/Hr. — Noom: Still hiring. If you’re a college student or have a degree — or you have 2,000 hours of relevant wellness experience — Noom is hiring. No state hiring restrictions mentioned. Noom’s popular apps — the company says 40M have been downloaded worldwide — help people lose weight. Virtual Health Coaches help people online and sometimes over the phone to stay on track to lose weight. 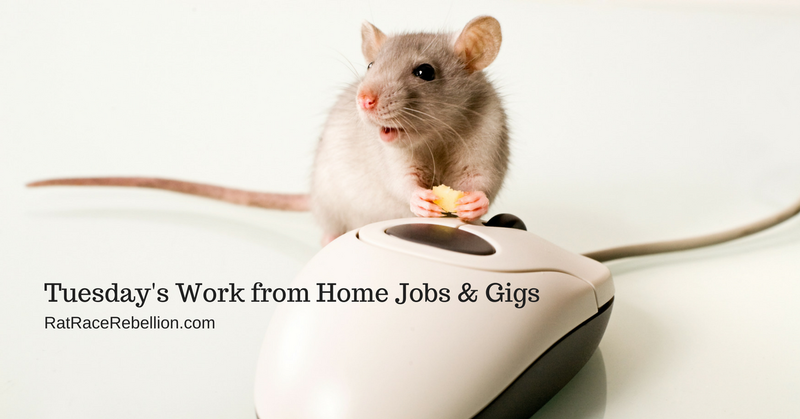 Work from Home Volunteer Jobs & Gigs – One way to get work from home experience is to take a side gig as a virtual volunteer. Update your resume, too. Plus, you may get a job offer from the organization you’re volunteering with. Here’s where to find the leads. Get Paid to Answer Simple Questions – OneOpinion: Another legitimate side-income option. Pays in cash or (if you prefer) Visa, Amazon and other cards.